Hi loves! I'm so excited to host this Dia&Co. giveaway. It's happening on Instagram, but I wanted to share here in case you miss the post—thanks, new IG algorithm. :| So what's the prize? It's a free Dia box styled just for you! Dia&Co. 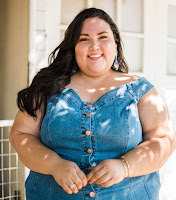 is a personal styling service for plus sizes 14 and up. It's seriously one of the most effortless ways to shop. Take a style quiz, receive a box at your door filled with hand-selected pieces from a stylist, buy the items you love and send the rest back. Easy peasy. This is the second time I have received a box. Just like the first time, my stylist gets me! 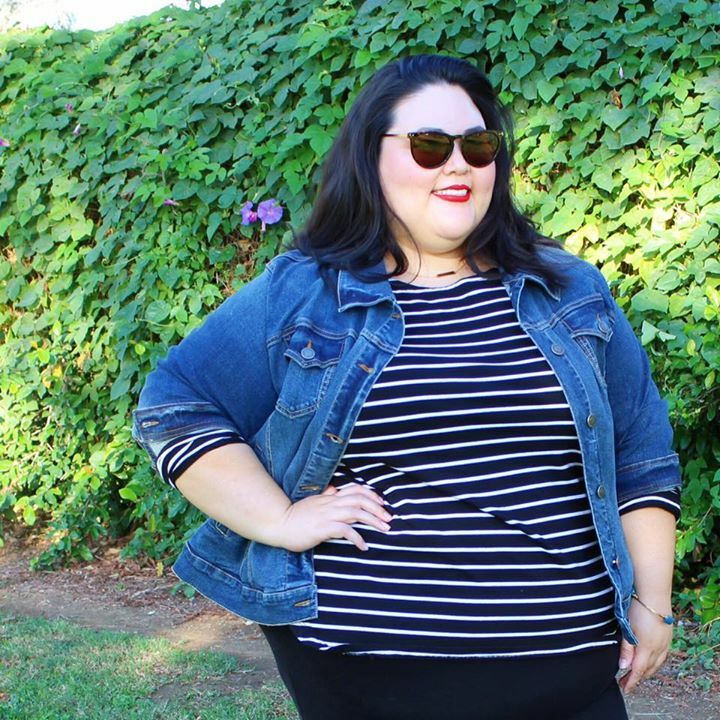 She sent this stripe tee for fall that I paired with a denim jacket and red lipstick. The more I play with fashion, the more I realize my style is definitely more classic Americana. I felt so in my element in this outfit. You know that feeling? When you're wearing something that makes you feel so good, so you. There is a confidence and happiness that radiates from within. It's a powerful, exhilarating feeling.